can expect from your wedding. 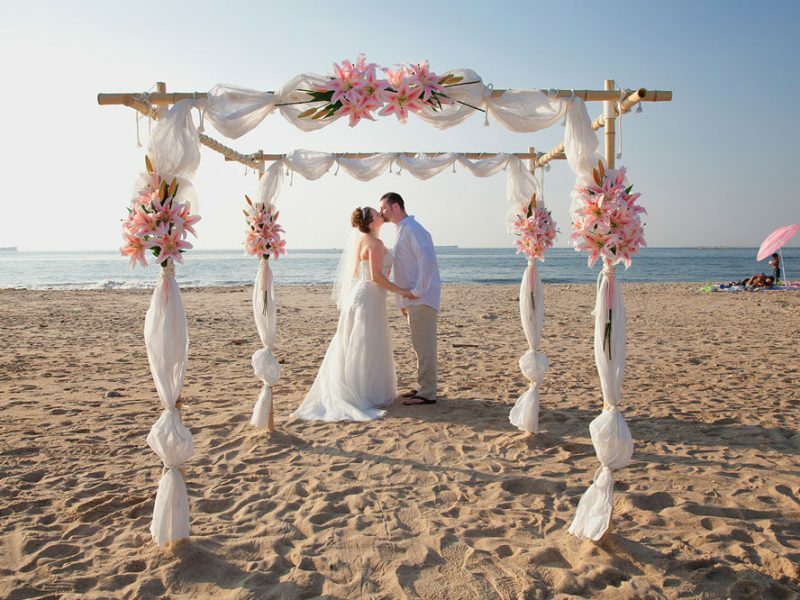 Your beach wedding can be as elegant or as simple as you want it. 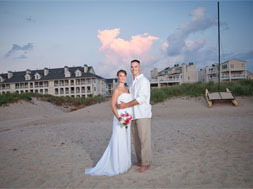 Have a memorable wedding at an affordable rate in Virginia. 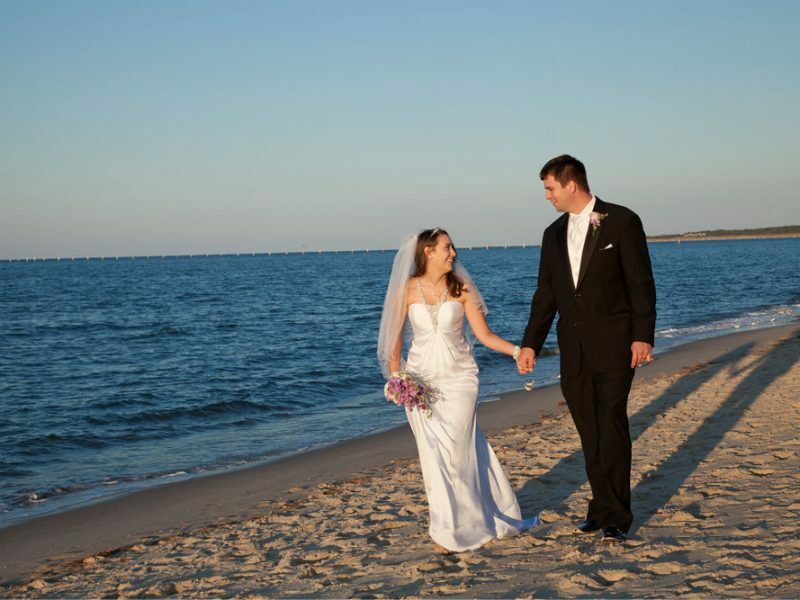 With 18 years of experience, Beach Weddings Virginia is a team of professionals that bring your wedding the very best of wedding photography, videography and officiating services. Options are available for wedding cake, flowers, wedding arch and more. 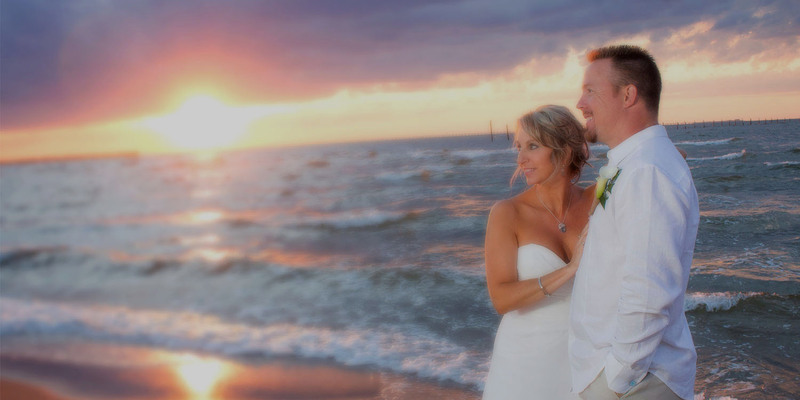 Choose from our selection of beach wedding packages or elopement packages and you will find that so much of the planning is already done. This means YOU can just relax and enjoy your special day. 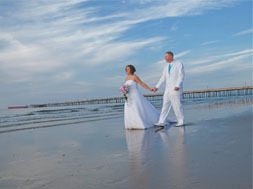 Consider Beach Weddings Virginia your go-to source for destination weddings, beach weddings and wedding vow renewals on the shores of Virginia. It all started in November of 2000 as a one-person operation called “Blue Ridge Weddings”. Photographer/officiant Frankee Love began creating packages for small weddings at Wintergreen Resort in the Blue Ridge Mountains. 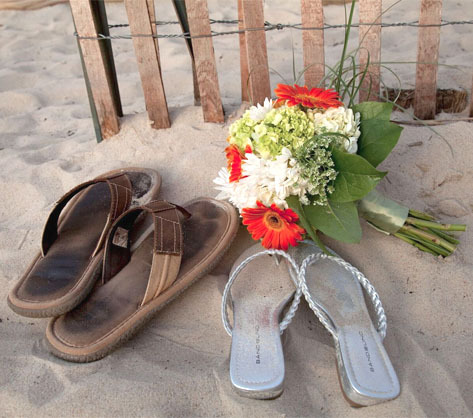 After several years in the mountains, she began receiving requests for beach weddings. 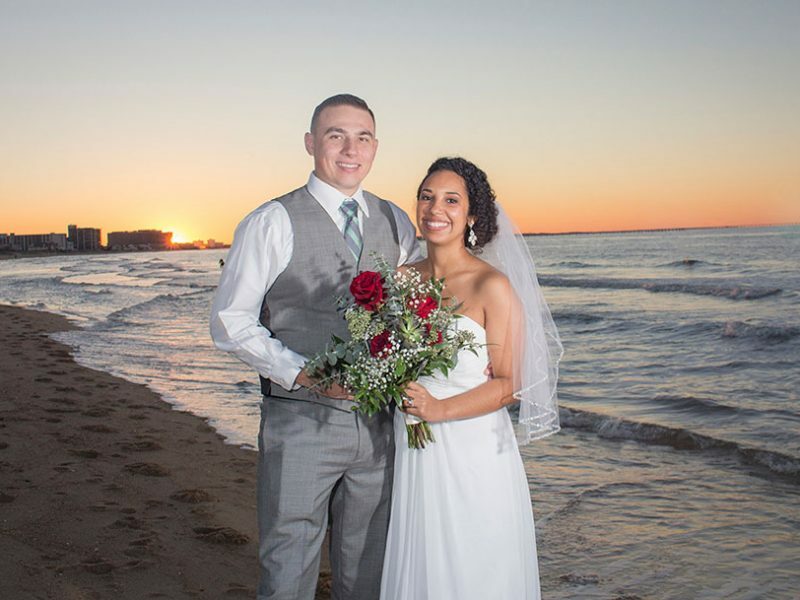 There were so many requests for beach weddings that Frankee moved to the beach and in 2009, went full-time into beach weddings under the name “Beach Weddings Virginia” In 2015, Frankee joined forces with a videographer (Tommy) and now offers a trio of services: photography, officiating and videography. As a team, they smoothly coordinate every aspect of the photography and videography. 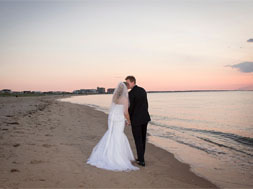 Although most of the weddings take place in Virginia Beach, the team is happy to travel to other locations in the Coastal Virginia area. keep it simple or go all out. Choose the package that’s right for you. Complimentary officiant services included in all packages! Every moment of your sunset beach ceremony will be recorded so you can share your special experience with friends and family back home. For larger weddings, we offer a trio of exclusive services coordinated smoothly by professionals that work together on a regular basis. This package includes professional photography and officiating services brought to your location in the Coastal Virginia area. Get valuable tips and advice for your upcoming marriage celebrations.